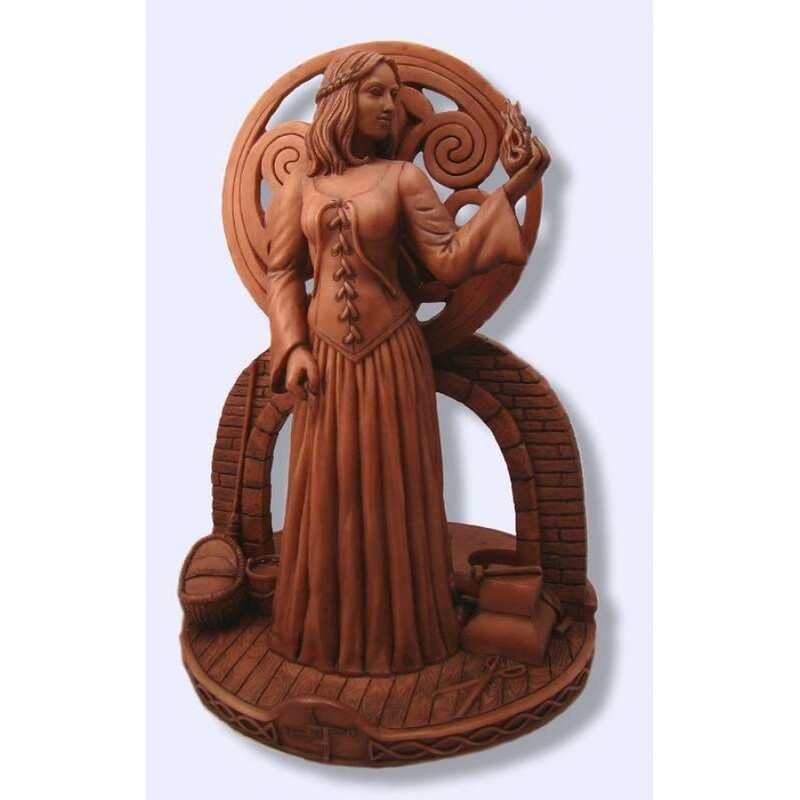 This amazing statue of Goddess Brigit by artist Mickie Mueller has lovely detail and holds candles in her hearth. 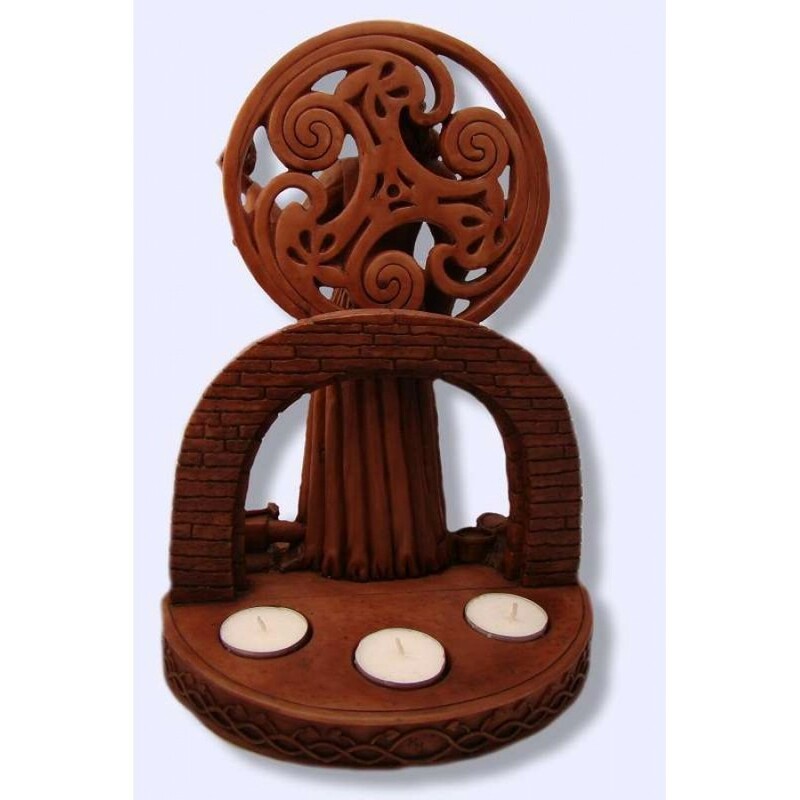 Behind her, a hearth designed to hold 3 candles will bathe her in a golden glow - tea light candles or battery tea lights are recommended. 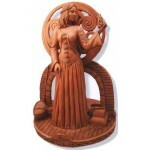 Amazingly detailed in cast resin and hand finished, this beautiful piece stands 11 1/2 inches high with a wood finish. 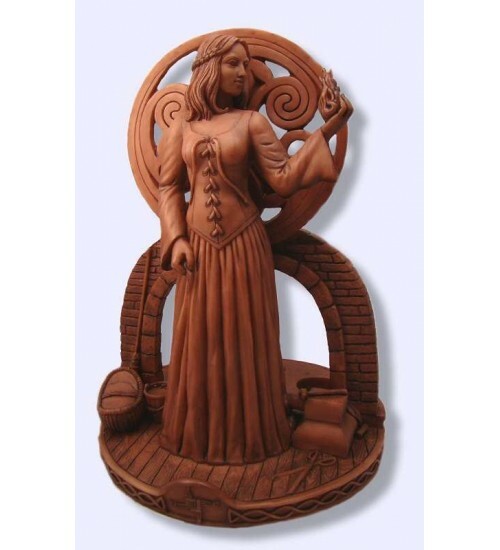 A gorgeous focal statue for your altar. Item Number: SS-BCS | Approximate Size (Inches): 8.00 wide x 6.00 deep x 11.50 high | Approximate Shipping Weight: 8.00 lbs.